Please join the Foundation for Sarcoidosis Research and internationally recognized physicians in Birmingham to gain valuable insight into sarcoidosis. 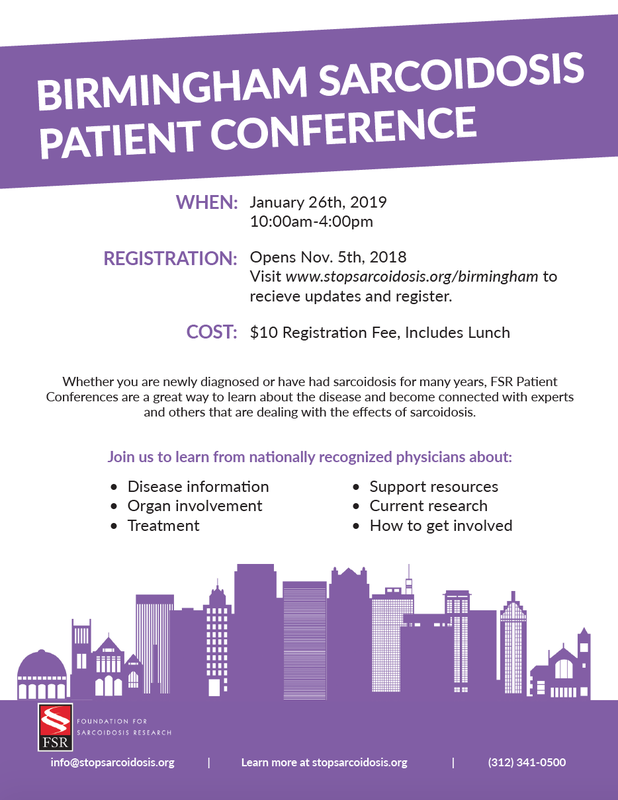 Patients and loved ones will have the opportunity to learn about FSR’s research initiatives, sarcoidosis treatment options, and clinical care with experts in the field in Birmingham. UAB Hospital-Highlands is a campus of UAB Hospital. The general acute care facility is conveniently located on the southern perimeter of the UAB campus. Venue is marked with the black FSR symbol on the map below. 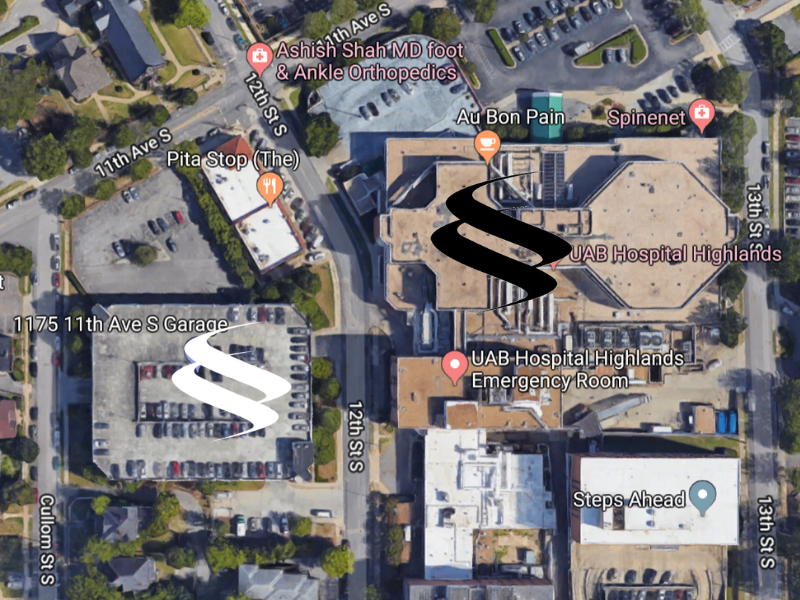 Parking will be available for free to conference attendees in a parking deck that may be entered from 12th Street South, between 11th and 12th Avenues South and next door to The Pita Stop restaurant, on the west side of UAB Hospital-Highlands. Level 2 of the parking deck is at street level. Parking lot is marked with the white FSR symbol on the map above. Please note that we did our best to find the best option for parking. You know yourself best – please give yourself enough time to park, walk to the venue, check-in at the registration table, and comfortably find your seat. Share this flyer with your friends, family members, fellow sarcoidosis warriors, and doctors. Sponsorship, volunteer, and speaking opportunities are available. Please contact kelli@stopsarcoidosis.org to learn more. View all 2019 Patient Conferences.